Fingers or toes looking a little dull? Let your nails shine without a coat of paint with this buffing session at Golden Kimby Nails & Waxing Beauty Salon. 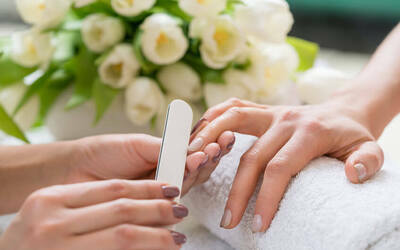 Your nails will be pampered, shaped, massaged, and buffed for a shinier appearance. Fine Print has been changed to include “Limited to only first-time customers of Golden Kimby Nails & Waxing Beauty Salon” on Jan 8, 2019. Partner will honour original terms for customers who purchased on or before this date. Limited to only first-time customers of Golden Kimby Nails & Waxing Beauty Salon.